Its universe imbued with musical and artistic influences is unique. 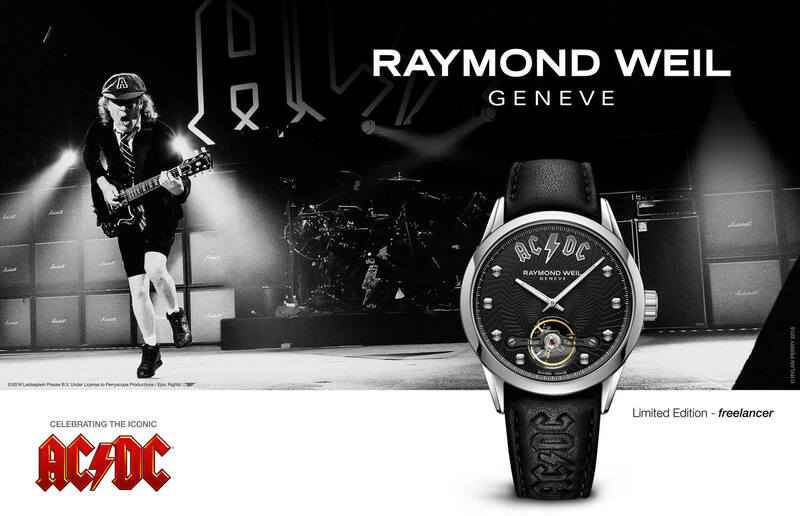 In 2012, RAYMOND WEIL is proposing a completely new demonstration of it with a campaign using strikingly beautiful images. 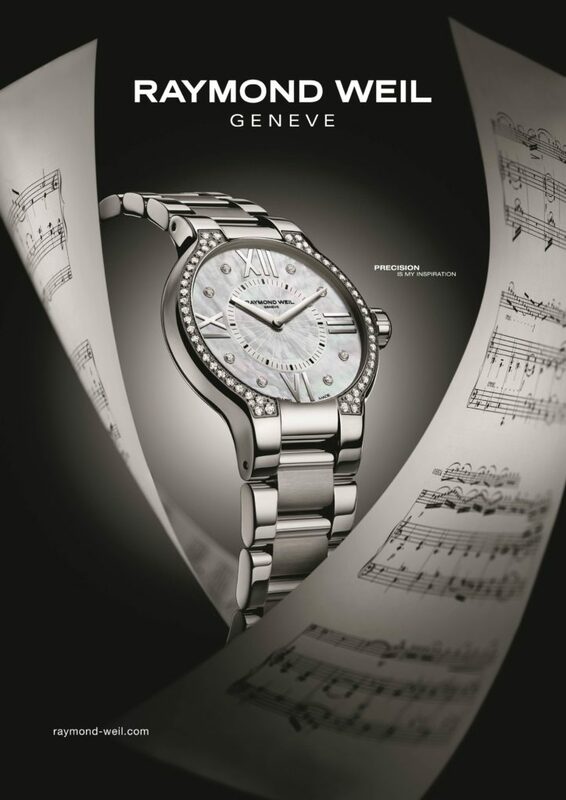 With reference to the works that have inspired it, musical scores take off, revealing the Brand’s watch creations, illuminated by a halo of light. 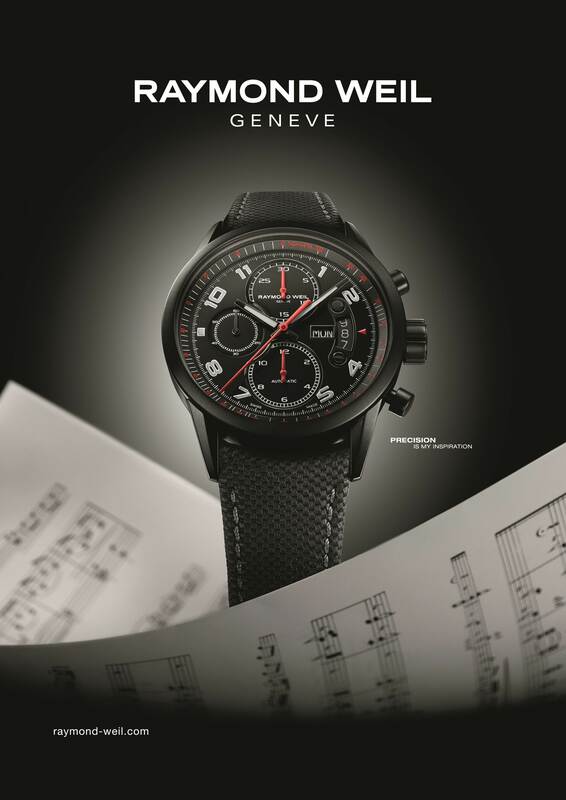 A campaign rich in allusions to, and the elegance of, the image of a brand that occupies a unique place in the luxury watch industry. The arts and music have always been at the heart of the RAYMOND WEIL universe. 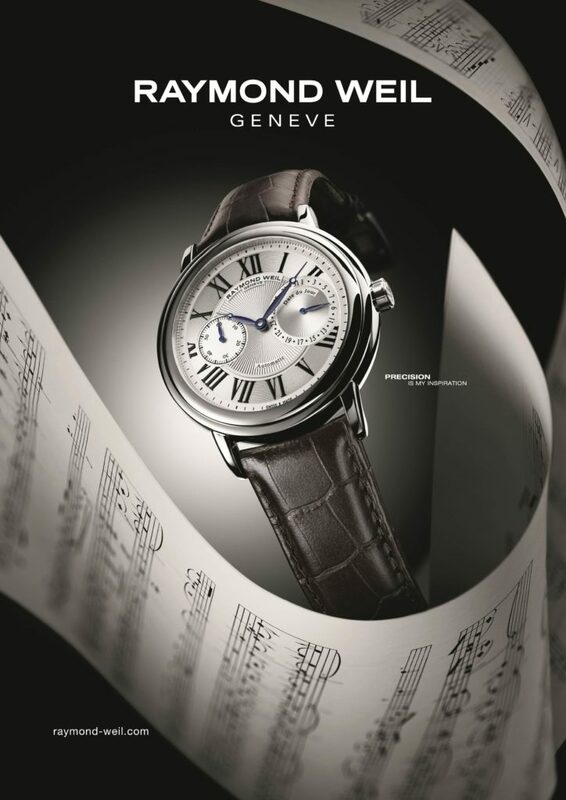 In a highly competitive watch industry, the Swiss watchmaker has imposed himself like a true orchestra conductor, with collections of prestigious watches, whose names evoke the grand masters, the passionate history and outstanding opera melodies, which have inspired it: parsifal, nabucco, maestro, tango and jasmine. 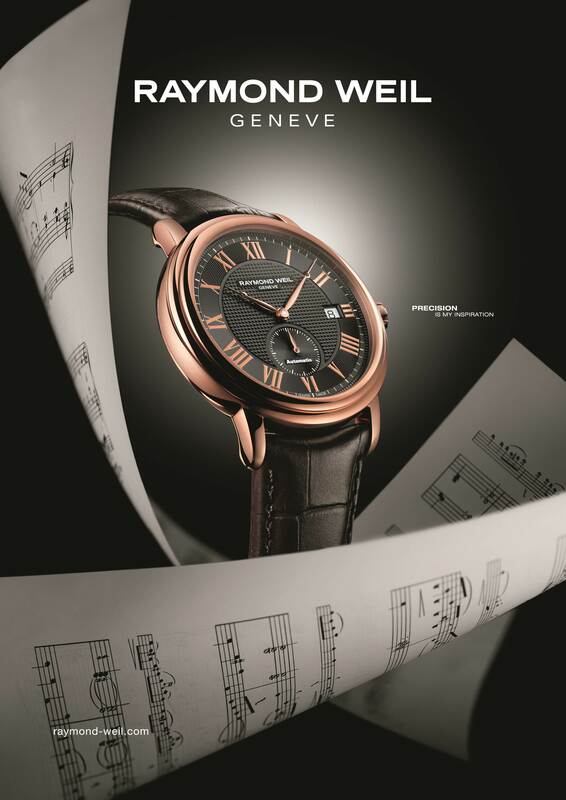 This infatuation with the arts and music has been handed down from generation to generation within the Brand’s founding family, together with its watchmaking know-how. 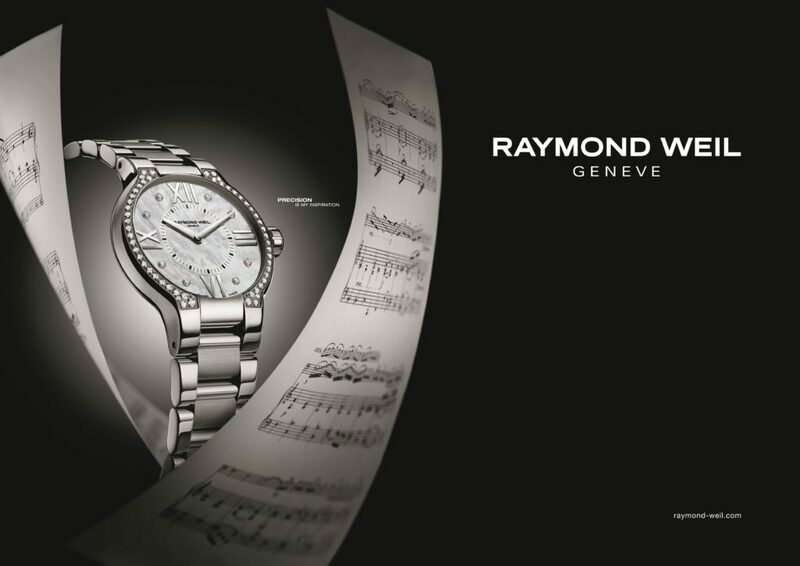 RAYMOND WEIL expresses the passion it shares between watchmaking and the arts in its completely new campaign, through sublime, chiaroscuro photographs. 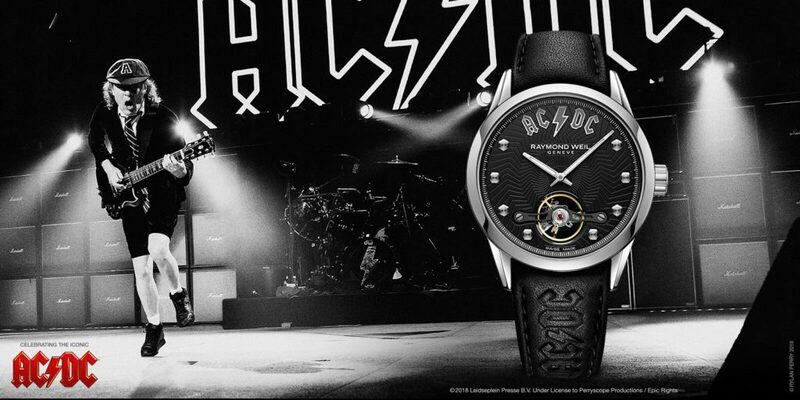 These images show off some of the Brand’s new watch stars, as if illuminated by a projector against a dramatic background of musical scores. 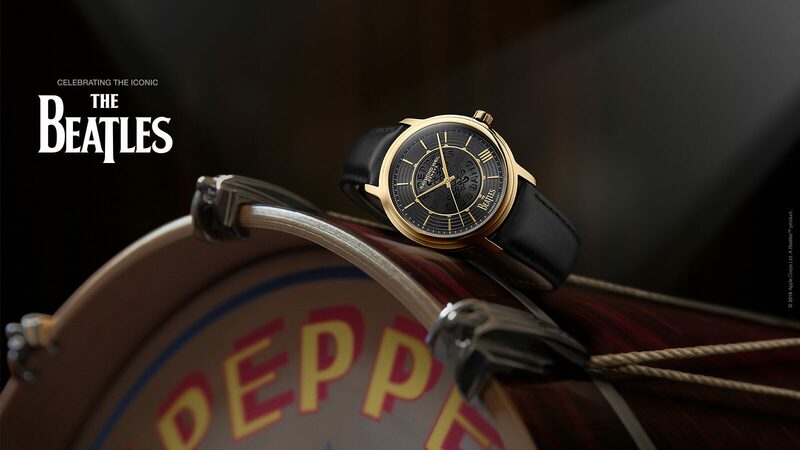 The style, chosen in homage to the photographic work of the famous Parisian Harcourt Studio, highlights the particular character of each collection, as well as the powerful and elegant design of the watches, with their perfectly proportioned volumes and refined materials. 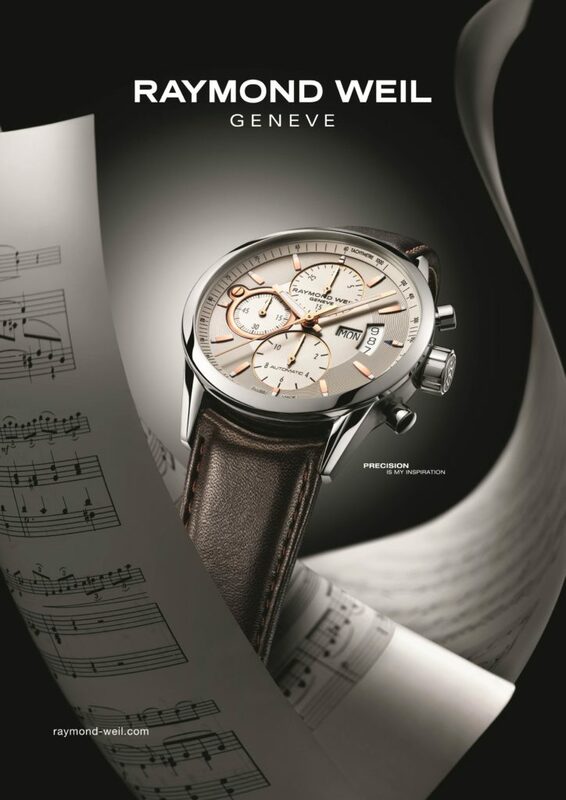 The link, which for RAYMOND WEIL unites watchmaking, art and music, also finds expression in the few words associated with the campaign: “Precision is my inspiration”. Much more than a simple slogan, this sentence is a real leitmotif for the Brand, which, like an artist, a musician, a sculptor or a painter, derives its inspiration from the precision of the movements, repeated so often to the point of excellence. 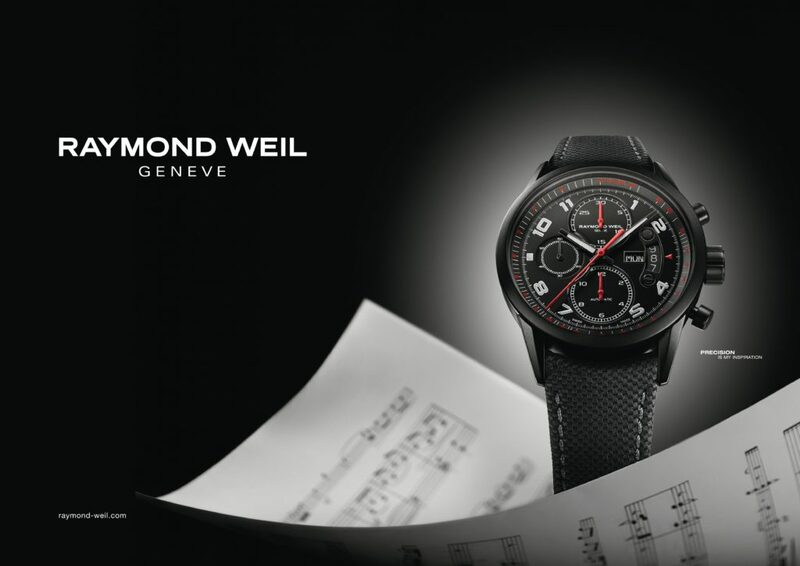 With this new campaign, RAYMOND WEIL, pays homage to the great artists, to the fruits of their work, which keep on touching our hearts and inspiring us, and of course to Swiss precision watchmaking, in which the family company’s roots are firmly embedded. The Brand also provides its timekeepers with a setting that matches its image: elegant, creative, combining technical know-how, cultural tradition and innovation.